An ATF agent and a prosecutor had a secret affair while working together on controversial storefront operations in Georgia and are under investigation following allegations they illegally helped in informant, the Milwaukee Journal Sentinel reports. The storefront investigations were the subject of intense scrutiny following alarming reports by the Journal Sentinel that showed numerous problems. 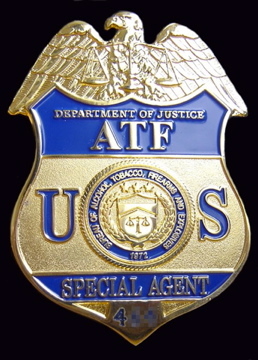 ATF said it is investigating the relationship between Assistant U.S. Attorney Cameron Ippolito and ATF Special Agent Lou Valoze. “The department takes these allegations seriously and is taking active and appropriate steps with regard to the employees involved,” said ATF spokesman Patrick Rodenbush, who declined to elaborate further because it is a personnel matter. According to the Journal Sentinel, the ATF is investigating whether Valoze and Ippolito presented false information to Homeland Security for a visa for an informant. Posted: 2/11/15 at 8:45 AM under News Story.